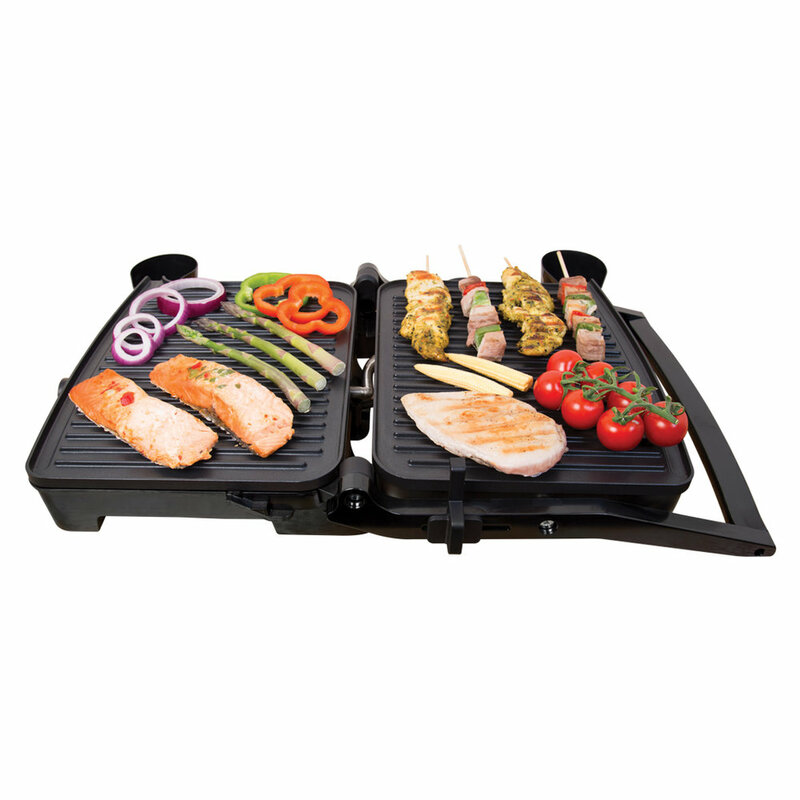 The Quest brand brings you this 180° Duo Health Grill. High powered Health grill, minimal or no oil needed! The healthy way to grill. 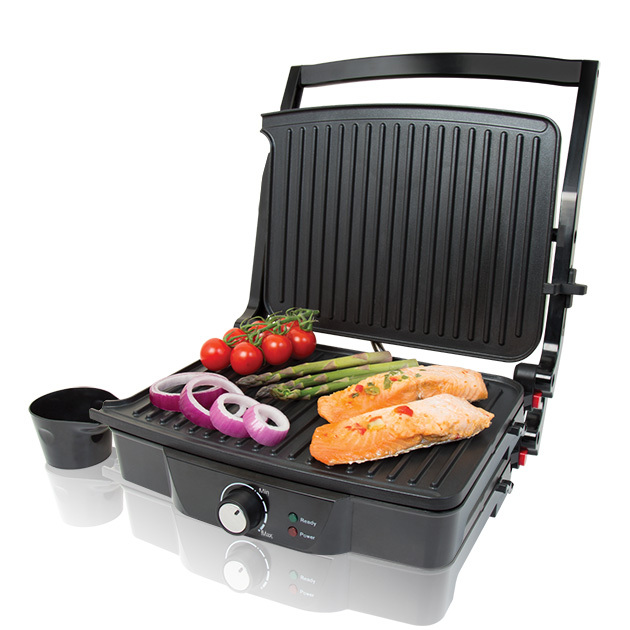 This Powerful 2000W 180° Duo Health Grill is perfect for versatile healthy cooking. The healthy way to grill. Use as a contact grill to cook fish, meat and vegetables or open up & use as an open grill. Use the temperature dial to cook your food to your preference. This high powered versatile health grill can also fold out to 180° to act as an open grill and double your cooking capacity. For this reason the grill also comes with two cups to drain excess fat and grease into.